3D Realms, creators of Duke Nukem 3D, Prey, and Max Payne, are excited to team up with Voidpoint to bring back the legendary Build Engine, famously known for classic first-person shooters like Duke Nukem 3D, Shadow Warrior, and Blood. 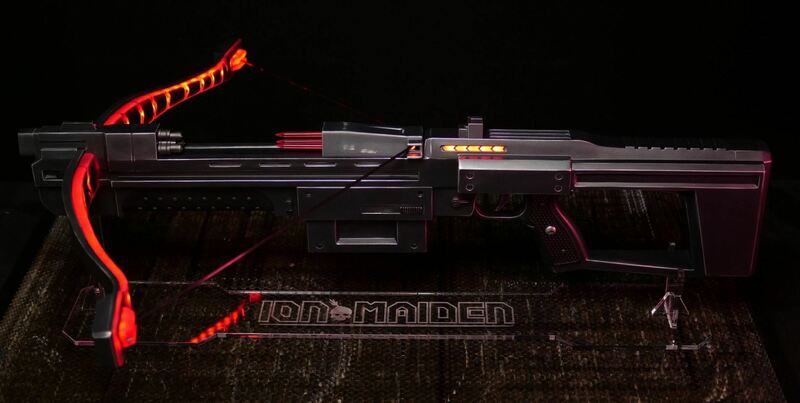 Ion Maiden is the real deal! Muy positivas (25) - El 96 % de las 25 reseñas de los usuarios en los últimos 30 días son positivas. Extremadamente positivas (920) - El 97 % de las 920 reseñas de los usuarios sobre este juego son positivas. Inicia sesión para añadir este artículo a tu lista de deseados, seguirlo o marcarlo como que no estás interesado. Inicia sesión para ver las razones por las que este podría gustarte o no en función de tus juegos, amigos y los mentores a los que sigues. Obtén acceso inmediato e involúcrate con este juego mientras se desarrolla. “Our Early Access release is a little bit different from other Early Access games. For Ion Maiden, we've developed a fully polished "Preview Campaign" which can be downloaded right now, ahead of the release of the full game. This short campaign is specially tailored to introduce players to the world of Ion Maiden, and is a standalone episode which can be played completely from start to finish. During the Early Access period, we'll be periodically updating the game to introduce new features and content. When the game leaves Early Access next year, the full campaign will be released and all owners of the game will receive the new content as an update. ¿Cuánto tiempo va a estar este juego en acceso anticipado aproximadamente? ¿Cuán diferente será la versión completa de la versión de acceso anticipado? Experience the original BUILD engine on steroids, pumped up and ready to rock again after 20 years! Duck, jump, climb, swim, and blast your way through 7 exciting zones packed with multiple levels of mayhem! An awe-inspiring arsenal of devastating weapons, including multiple ammo types and alternate fire modes. Tri-barreled revolvers, grenade launchers, and heat-seeking smart bombs are your best friends! ZERO PROCEDURAL GENERATION. All levels are hand made and full of multiple paths, cool effects, and complex set pieces! ¿Cuál es el estado actual de la versión de acceso anticipado? ¿El precio del juego será diferente durante y después del acceso anticipado? ¿Cómo tienes planeado involucrar a la comunidad en tu proceso de desarrollo? “Customer feedback will help us improve and perfect ION MAIDEN. All of our developers are long time veterans of a very active BUILD engine community, ready to eagerly listen to what our players have to say. Creating the best possible game has been our goal since day one. Este artículo no está disponible en tu idioma. Por favor, consulta la lista de idiomas disponibles antes de realizar la compra. ION MAIDEN AT PAX - IT'S A WRAP! We had a fantastic trip to the PAX East gaming convention in Boston, with thousands of people attending, seeing old friends and making new ones! 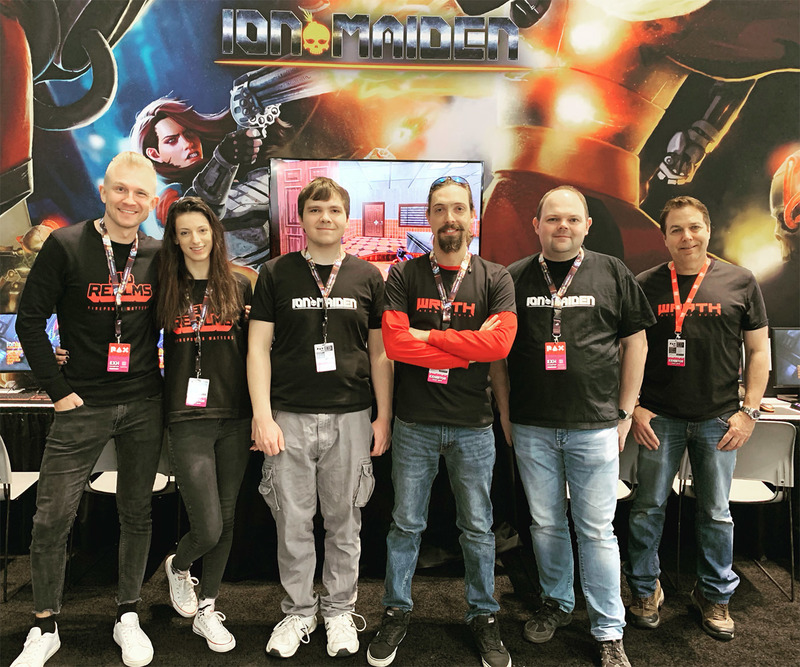 It was great to see long lines of people wanting to try out both Ion Maiden and WRATH, for 4 days straight! We're heading back to the studio with tons of positive feedback and an outstanding reception from the press. You can check out the full 3D Realms at PAX Album on IMGUR here! 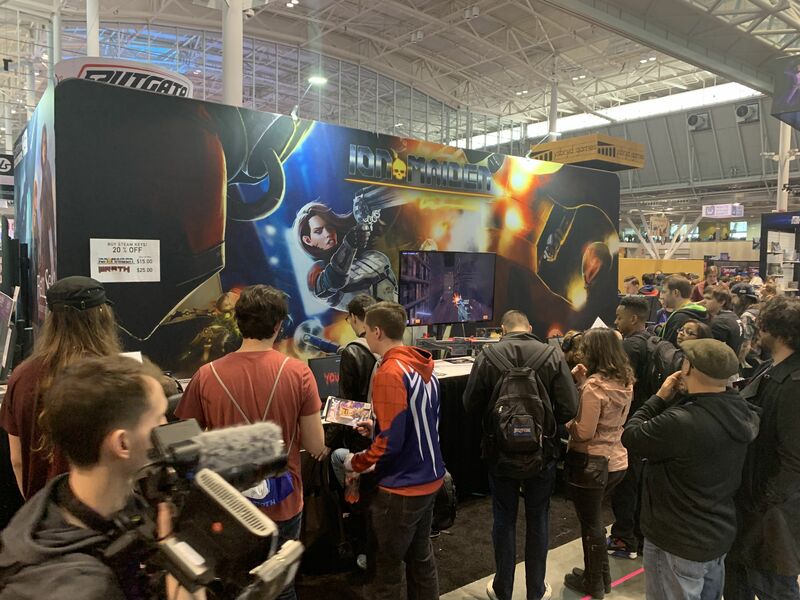 ION MAIDEN AT PAX EAST 2019! 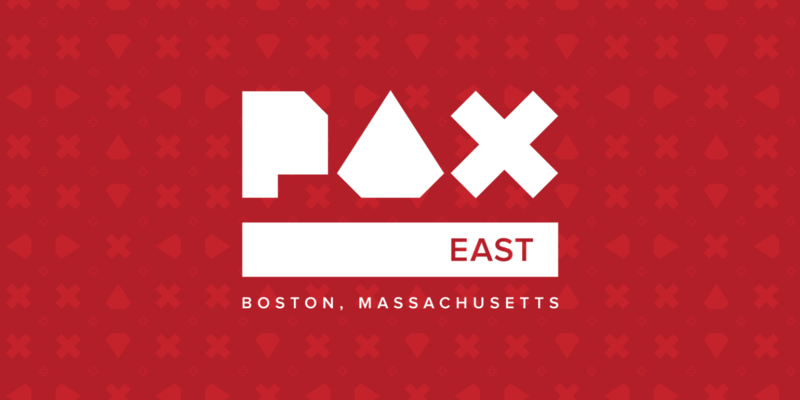 Ion Maiden will be playable at PAX East 2019! Come pick Voidpoint Programmer Evan "Hendricks266" Ramos' brain for all the juicy details, and check out the life-size Ion Bow Prop! Informa de errores y deja opiniones sobre este juego en los foros de discusión. Order NOW and play it TODAY! 3D Realms and Voidpoint are proud to bring back the Build engine, widely known for powering Duke Nukem 3D, Blood, and Shadow Warrior, in all of its hand-crafted pixelated glory. The full ION MAIDEN experience will be available in English, French, Italian, German, Spanish, and Russian in Q2 2019. While Shelly “Bombshell” Harrison earned her codename defusing bombs for the Global Defense Force, when evil transhumanist mastermind Dr. Jadus Heskel unleashes the members of his cybernetic cult onto the streets of Neo DC, she knows it’s time to start causing explosions instead of preventing them. Her quest to slay Heskel leaves a trail of carnage throughout huge, multi-path levels filled with gigantic explosions, more secret areas than we can count, and inhuman foes behind every corner. There’s no regenerating health here; stop taking cover and start running and gunning. Shelly’s crusade to take down Heskel’s army will see her leave destruction in her wake with a wide arsenal of weapons, complete with alternate fire modes and different ammo types. Her signature revolver, the tri-barreled Loverboy, brings enemies pain and players pleasure with both single shots and Old West-style hammer fanning action. Who needs a regular shotgun when you can load buckshot into your grenade launcher? Violent, over-the-top Bowling Bombs rip enemies apart with ease. Ion Maiden laughs at the idea of mandatory checkpoints and straight paths through shooting galleries. But, just because this is a true old-school first-person shooter doesn’t mean we've ignored all the good new stuff the last two decades have brought. Headshots? Hell yeah. More physics and interactivity? You betcha. Widescreen, controller support, and Auto Saves? 3D Realms and Voidpoint have taken the best of both worlds and cooked it all into a bloody stew. The true successor to classic shooters such as Duke Nukem 3D, Shadow Warrior, and Blood. Gráficos: 512 MB video memory. Intel integrated graphics supported. Gráficos: 1024 MB or more dedicated video memory. NVIDIA or AMD preferred. © 2018 Voidpoint, LLC and 3D Realms Entertainment ApS. Voidpoint, 3D Realms and related logos are registered trademarks of their respective owners in the U.S. and other countries. Bombshell and Ion Maiden are registered trademarks of 3D Realms. The Bombshell Character design, the Bomb and related logos are registered trademarks of 3D Realms. All other trademarks or trade names are property of their respective owners. All rights reserved. 48 mentores han reseñado este producto. Haz clic aquí para verlos. Para ver las reseñas correspondientes a un intervalo de fechas, haz clic y arrastra en uno de los gráficos de arriba para crear una selección o haz clic en una barra específica. Al activarla, las reseñas se ordenarán según la nueva puntuación de utilidad. Más información en la entrada del blog. No hay más reseñas que coincidan con los filtros establecidos arriba. Ajusta los filtros de arriba para ver otras reseñas. Puedes usar este creador de widgets para generar un fragmento de código HTML que puede insertarse en tu sitio web para permitir que los usuarios compren este producto en Steam fácilmente. Regístrate para añadir tus propias etiquetas a este producto.